Guacamole! Guacamole! Guacamole! This exciting party dip just gained a lot more celebrity and could be your new best friend. 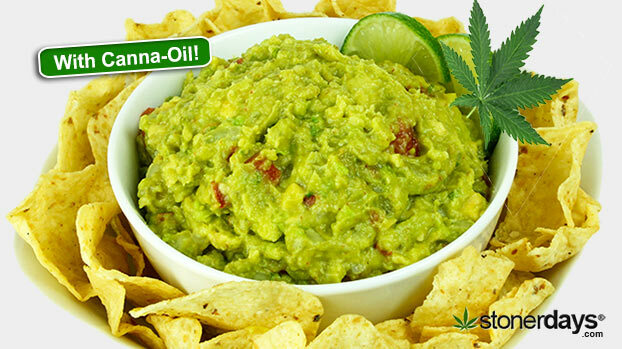 Guacamole is nothing short of fantastic, but with canna-oil it’s nothing short of magical. With so many flavors and textures, it knows how to pop around on your taste buds giving you all the right flavors. The rich green avacado color is a reminder of sweet Mary Jane, and when the buzz kicks in from eating it you’ll be glad you ate so much. Cut the avacodos into small chunks so that they’re easier to smash. Place them into a large mixing bowl and with a fork or bean smasher, let the smashing begin. (Smash to desired texture) Next cut the tomatoes, yellow onion, cerano chili, and banana peppers into small squares. Finely chop the beautiful cilantro. Add everything in with the avacodos and mix together lightly. Now for the spice! Add the canna-oil, salt, ground pepper, Lawry’s seasoned salt, and last but not least, garlic powder. Then cut both the lemon and lime in half and squeeze one half of the lime and lemon in to the guac. Mix everything together, grab your favorite tortilla chips and look at your masterpice! Now all there’s left to do is dip, bite, and get high. 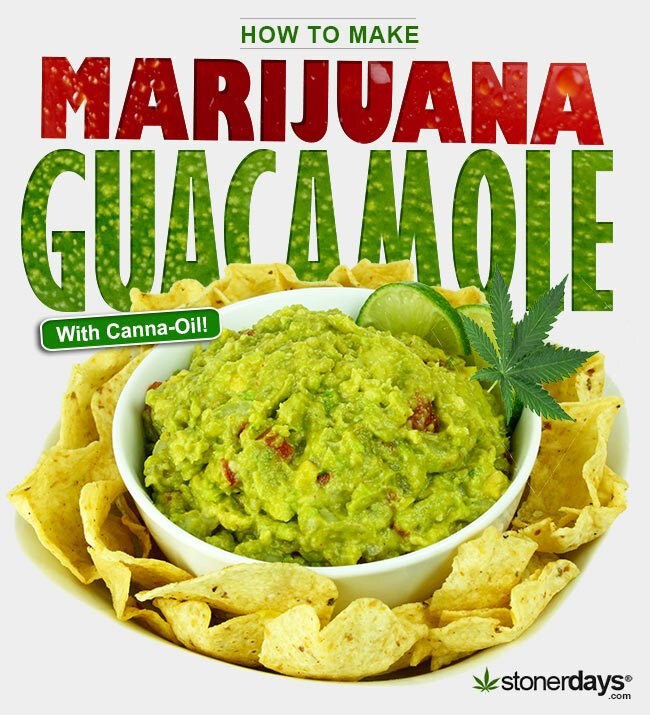 Now that you’ve mastered How to make Guacamole with Marijuana, check out our Stoner Dictionary!